In our small business workflow series, I’ll shine a spotlight on the inefficient practices and frustrations of many small business staff, and illustrate how a streamlined workflow improves individual performance and provides overall business organization. In the coming weeks you’ll meet Frank, Debbie, Gus, and Arnold. 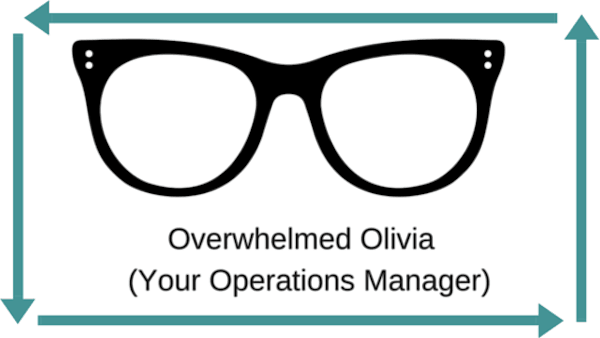 But to start things off, allow me to introduce you to someone who plays a key role in the overall operations of your business: Olivia. 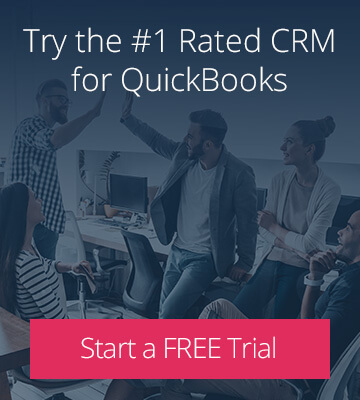 Now, let me clarify: creating a quicker team with QuickBooks does not require everyone to have an accounting background, or even access to your QuickBooks file for that matter. But by equipping your team with a CRM for QuickBooks, which provides safeguarded access to customer accounting info, your team can operate more efficiently. Redundant and manual steps are eliminated within your business’ customer-centric workflows, more can be accomplished by each team member in a day, and the frustrations felt by your staff are put to rest. QuickBooks ProAdvisor Fran Reed points out in this blog post “the lack of internal ‘flow’ also creates disharmony amongst team members with everyone getting in the way of the other.” A CRM solution goes a long way to harmonizing that disharmony! Olivia no longer has a stack of quotes to send out for the sales team. As the CRM administrator, she set the permissions in Method to allow the sales team to create and send out quotes themselves. 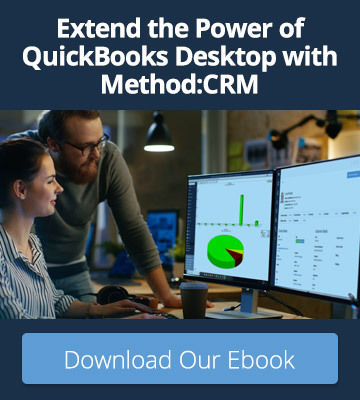 And then, when the lead accepts the quote, the team converts the quote into a sales order, which again syncs with the company’s QuickBooks file. Everyone is working from a centralized database they’re able to access from anywhere, so Olivia’s time is no longer spent hounding team members for info when it’s time to do the billing. It also means vital customer data is no longer being saved in email accounts or on laptops, which does wonders for Olivia’s sanity. Stay tuned for Part 2 of this small business workflow series where I’ll review the roadblocks faced by Frustrated Frank (your sales rep) and how to supercharge this revenue-generating team member. Or, read the Education CRM story of sword fighting school, Guard Up!